After an absence of several years, the Fr. 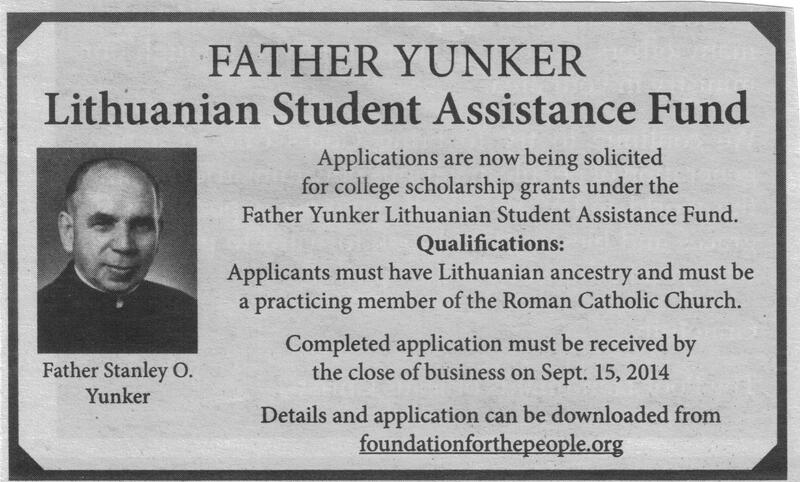 Yunker College Scholarship was just advertised in the July 27 edition of The Catholic Times. About three weeks ago, a diocesan official agreed to speak to me about the transfer of the Fr. Yunker College Scholarship Fund from a bank in Cleveland to the Foundation for the People of the Catholic Diocese of Springfield. The official told me that the transfer of the scholarship was finally complete after some costly legal wrangling. It was necessary, he said, due to the bank charging costly fees that had depleted the $100,000 principal amount bequeathed by Fr. Yunker back in the 1970s (which is never supposed to happen in a scholarship fund). The remaining principal at the time of transfer to the Springfield diocese this year was about $62,000. That should rise again quickly as investment returns are fed back into the principal, along with being directed into scholarship grants. Fr. John Nolan later confirmed to me that the scholarship fund had been received by the diocese and that the first round of applications in several years would soon be advertised and taken. He said he was “not at liberty to discuss” the amount of principal or the value of the grants to be made this year — either in aggreggate, or the amounts that would be granted to the individual winners. If anyone finds out through the application process of a member of your family, would you please let us know? 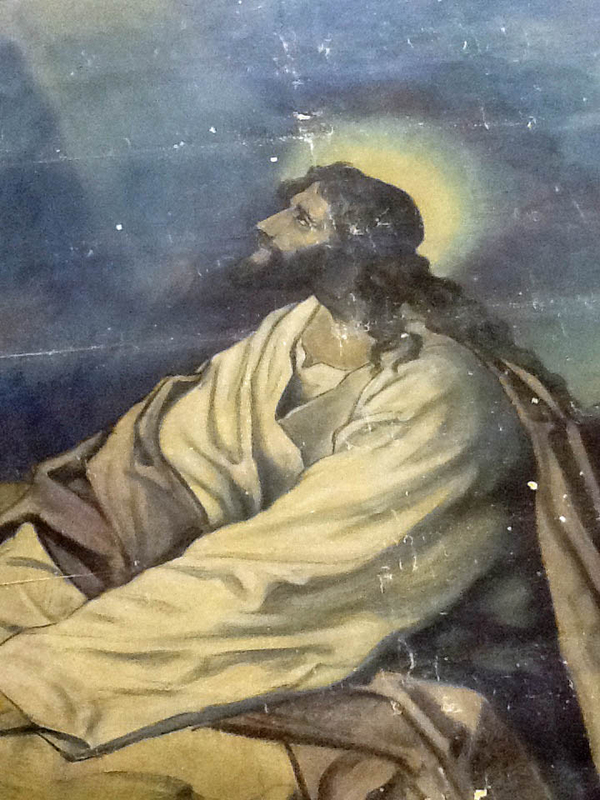 Jesus in the Garden: ceiling mural salvaged from the church before demolition. Finally, I heard this week from Scott Mumford, the new editor of Catholic Times, that the ad above had just run. How wonderful that the scholarship, which helped several of my own sisters attend the University of Illinois, is finally active again. 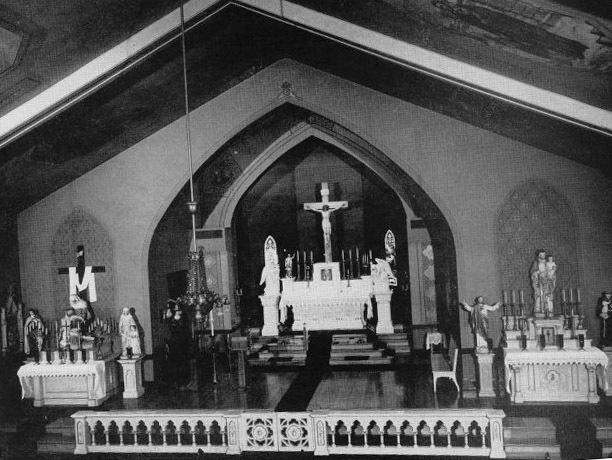 Since several officials have speculated out loud to me that maybe awards were also not made, in recent years, due to a dearth of qualified applicants, please spread the word by sharing this blog post, or the linked application form below, with descendants of parishioners of St. Vincent de Paul’s with college-age children. After fearing the scholarship would be de-linked from new generations of parish families, I was pleased to see that the requirement of family relation to the parish is still there, as it has been historically, and as Fr. Yunker surely intended. What a wonderful tribute to the Lithuanian immigrants, their children and grandchildren who poured their blood, sweat and spirit into their beloved church. Thanks for sleuthing this out. Interesting! Though I was aware of this information, I am sure others may not be. Your information may help a struggling scholar. Thank you.